The NFL is feeling major heat. The league weathered the storm after another rocky season marred by controversy. But now the NFL has another troubling hurdle to clear with the final game of the season. NFL Commissioner Roger Goodell is ready for this season to be over. The league has faced several headaches, the latest one being an atrocious non-call in the NFL championship game between the New Orleans Saints and Los Angeles Rams. The missed call cost the Saints a trip to the Super Bowl and triggered outrage across the country. The non-call was so bad, the league is considering making pass interference penalties reviewable. Disgruntled Saints fans even sued the NFL over the call, and the case is being handled in federal court. The 2018 season saw the most penalties ever called in a single season, and neither coaches nor fans were happy about it. This season also saw several off-the-field assault incidents involving players, which only added to the brutish perception of the league. The most high profile player was Kansas City Chiefs star running back Kareem Hunt, whom the team released after footage of him kicking a women in a hotel surfaced. Goodell has also had to endure the continued fallout of the anti-American anthem protest started by free agent quarterback Colin Kaepernick. Kaepernick is currently suing the NFL as well over claims that the league colluded against him. And the mainstream media continue to throw gasoline on the anthem fire. NBC’s Chuck Todd went so far as to say the NFL chose white consumers over black consumers. Now the anthem controversy is bleeding into the Super Bowl. Last year’s game between the Philadelphia Eagles and New England Patriots was controversy-free, but the left decided to stoke the fires again. It started when leftist comedian Amy Schumer suggested every music artist should boycott performing at halftime of the Super Bowl in solidarity with Kaepernick. Several artists including Jay-Z and Rihanna declined to perform, but Maroon 5 ultimately agreed, much to the exasperation of left-wing activists. 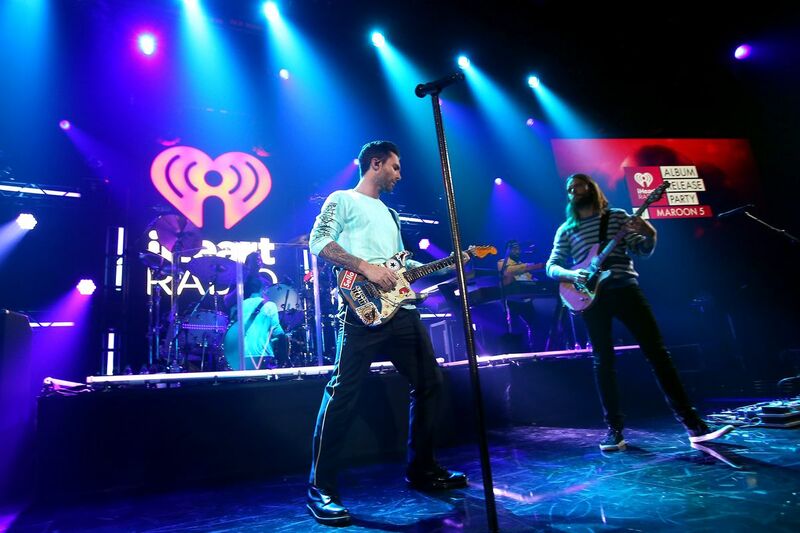 Maroon 5 had a hard time finding artists to perform with them, but eventually, rapper Travis Scott agreed. Scott faced a wave of backlash and many tried to strong-arm him into withdrawing, but Scott remained. Then hip-hop legend Big Boi from OutKast agreed to perform at halftime — the Super Bowl is in his hometown of Atlanta — and the outrage mob was shocked. Also, renowned R&B singer Gladys Knight—another Atlanta native— agreed to sing the anthem, and didn’t care about any backlash. Big Boi’s and Gladys Knight’s status has shielded them somewhat from the left-wing mob, but Maroon 5 hasn’t been so lucky. Frontman Adam Levine canceled a pre-Super Bowl press conference because the mainstream media and social media vitriol from leftists has been so severe. Many are calling for the musical acts to protest in some way and express their support for Kaepernick, which is insane. Before Kaepernick’s protest, he was on the brink of irrelevance. Now more-established celebrities who had much more difficult backgrounds than Kaepernick are expected to kiss his ring. It’s absurd, but the media perpetuates it. Unfortunately, Maroon 5 had to cancel the press conference for the biggest show of their careers because of a self-serving activist. The NFL is praying the show goes off without a hitch, and the season ends without another black eye.